TAMASSA THE MEANING OF FUN! Tamassa is the perfect resort to choose if you are looking for a budget friendly hotel. With its all inclusive package which offers access to all of its restaurants and a good selection of drinks and activities, you are set to kick off those shoes, sit back and gaze into the sea while sipping unlimited amounts of cocktails and being served like a king. So you have visited the picture perfect resorts set on the idyllic beaches of Mauritius with promises of utter relaxation. That's great. But have you experienced any other sort of get away on the island? We thought so! We were spellbound and frankly excited when we discovered this month's special Escape destination. 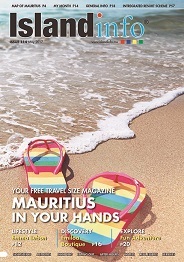 La Palmeraie by Mauritius Boutique Hotel is a cozy haven where one feels cared for. The urge to get off the grid whilst spending your money and precious time off wisely makes your choice of destination an extremely important & exciting one. Set on the unspoiled south westerly tip of the island, The St. Regis Mauritius Resort is all about an exclusive escape into a world of timeless elegance and refinement where living is an art. We have escaped to different hotels for the purpose of bringing experience to our readers and have become accustomed to being pampered and enjoying a pristine environment but the LUX* Le Morne gives 'majestic' a heightened meaning. Whisking you away to a refreshingly different holiday atmosphere, Baystone Boutique Hotel & Spa is a peaceful retreat where you can be yourself while you enjoy all the comforts of a resolutely modern and luxurious lifestyle. If you are looking for a fun and festive atmosphere where you can really unwind and enjoy an exceptional holiday, go no further than the all-inclusive resort of Club Med Pointe aux Canonniers. Set on the pristine East Coast of Mauritius, in the perfectly sheltered bay of Palmar, Ambre hotel is the ideal choice for a truly relaxing vacation. This 4-star resort is renowned for its exquisite soft sandy beach that stretches over almost 700 metres and fringes an enticing turquoise lagoon. SO MAURITIUS & SO MUCH MORE� Imagine entering a hotel which breaks off all expectations and surprises you, where every room you enter and everything you look at makes you stop and admire. REVEL IN LUXURY If you�ve ever dreamed of heavenly tropical vacations where you can revel in luxury while savoring nature�s splendor, go no further than Heritage TheVillas. Spreading over 200 acres of enchanting gardens and offering spectacular views of expansive greenery that stretch to the sea, the villas are perfect getaways, where friends and family can come together for treasured moments of pure delight.